Our reports will identify any maintenance issues and/or serious structural defects that may not be apparent when you initially view a property. Why choose Whangarei’s property inspection experts? Asset property inspections are the inspection experts in Northland. We have been in the construction industry for over 30 years, the last 14 years in Whangarei. 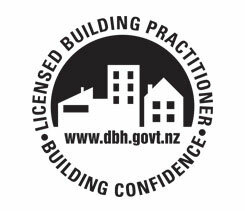 Our inspectors are licenced Building Practitioners and hold Carpentry and Site 2 licences. We are fully qualified to inspect everything essential in a property and produce a written report in an easy to understand format that you can depend on. So give yourself total peace of mind that your pre-purchase property inspection is being carried out to the highest standard, in accordance with NZS:4306 2005. We will inspect everything from the site, foundation and structure through to roofs, cladding and plumbing. Our reports are specifically written for the property we are inspecting, not a generic tick box style of report.We will report on any defects and advise you of work needed. Because of our experience as licensed building practitioners, we can also assist in estimated costings and give you advice on how to carry out this work. We are always here to offer ongoing support when it comes to purchasing and maintaining your home, we will talk you through any elements of the reports that may cause concern and will always offer a positive and practical way forward, giving you complete confidence in our competence. You see the property online and the photos look good, you run through your check list and if it ticks enough boxes you’ll see the place in person. An inspection is worth every penny when you’re making one of the biggest purchases of your life. You’ve found it, your dream home. A spacious sunny kitchen, a big shed for all your projects and a backyard big enough for the kids to play and dogs to run around. After the long house hunt, the finish line is in sight and you’re ready to put an offer in and make this property your home. I wanted to drop you a line to say thank you. Ive been stressed about getting the garage sorted so we can finish the paperwork on the house. The information you shared and the suggestions you made gave us a clear picture of our options. I appreciate the clear, quick and honest communication and because of your quick response I'm feeling less anxious and confident we are on the right track. I will be glad to recommend Asset Property Inspections. I have engaged Simon on two separate occasions to complete pre-purchase building inspections on my behalf. Simon was professional, prompt, reliable and a great communicator. Simon provided an immediate oral report on completion of inspection. In this era of a buoyant property market I was pleased and grateful for his ability to provide building reports expeditiously. The inspection carried out by asset property inspections highlighted several issues that we were not aware off after our initial viewing. We were able to negotiate a reduction in cost to replace the rotten floors below the leaking shower. We will be using Asset in the future. I wanted to drop you a line to say thank you. Ive been stressed about getting the garage sorted so we can finish the paperwork on the house. The information you shared and the suggestions you made gave us a clear picture of our options. I appreciate the clear, quick and honest communication and because of your quick response I,m feeling less anxious and confident we are on the right track. I will be glad to recommend Asset Property Inspections.